The Israeli military is one of the few in the world that allows women to serve. The United States only lifted its ban on women in units that perform direct combat in 2013, yet women in Israel have had the right to serve in any role in the military since 2000. There is an interesting film that can be made out of this, one that explores the camaraderie among women on the front lines and dives into the male hostility that still exists. “Zero Motivation” is that film, one that audiences have needed for a while. The film, which hits theaters today, centers around a unit of female conscripts relegated to pencil-pushing in the desert. While men enjoy the prestigious positions of the base, the three leads are left to obsess over their personal agendas. Daffi (Nelly Tagar), who is given a fake job due to a lack of secretarial skills, seeks to be transferred out of the desert and into the city. Zohar (Dana Ivgy) is a jealous friend who, as the title would suggest, has little drive in the position she was forced into. Then there is Rama (Shani Klein), the senior officer whose dreams of advancement are undercut by leading this posse of slackers. 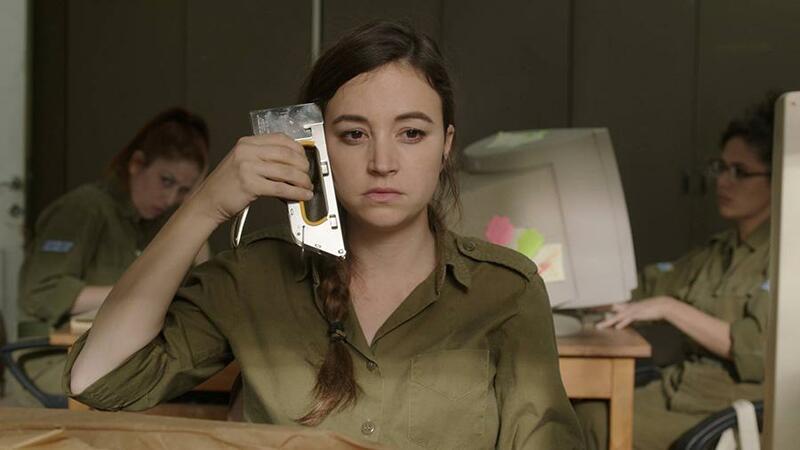 At the core of the film is the relationship between Daffi and Zohar. The two share a very believable chemistry that is oddly reminiscent of “Superbad” — a type of friendship in which the juvenile slacker Zohar is baffled that her only friend Daffi has trivial goals, the kind that will break them apart. It allows for confrontational moments to coexist along with dark, comedic scenes. Zohar’s character finds a perfect balance between the absurd and believable — the ridiculous lengths she goes to just to undercut her superiors are ridiculous enough to be funny, yet grounded in the familiar rebellious stages of youth. The character who subtly shines throughout is Rama. It takes a while, but she becomes genuinely sympathetic when viewers realize she actually wants to be there, rather than just dealing with the draft. The film does an excellent job of presenting a sisterhood within a male-dominated space, manifesting in dozens of simple ways. There is a constant feeling of contempt around the unit, not only because of their general lack of skill, but also because they are only there due to laws and conscription, and have no business on an actual combat base. Even Rama, who is established as having completely bought into the system, is genuinely brushed off whenever she tries to discuss her position with other officers. The overbearing presence of masculinity results in two of the darkest, most twisted moments in the entire film, diving into that toxic, misogynistic atmosphere that is becoming more and more unavoidable in today’s society. “Zero Motivation” is a fascinating film that explores a group of characters who are only interested in themselves — their military service being an unavoidable burden. It is well shot, raises critical questions, is humanly and emotionally grounded and is definitely worth a look. Zero Motivation is currently playing at Film Forum in NYC and will run until December 16.